Rated 5 out of 5 by GeeDan42 from What a Legend What a delightful game, a real change from the usual dark mists purple spectres and depressing storylines. Visually very good with a fantastical story. Loved it. Rated 5 out of 5 by possumb from Beautiful and Clever I just started the game but like all Mad hatter's games it is very well done. But it is more - it is beautiful. And so clever - so many small nuances that capture you so much that you don't realize that you are playing a game but you are actually enjoying the moment in time ... wonderfully created - thank you. Rated 5 out of 5 by Yurnmesis from Beautiful Graphics! Excellent Storyline! Enjoyable Journey! Overall: Scenes and characters were extraordinarily well crafted, beautiful artwork and everything was visible, no hidden dark corners. A couple of times couldn’t use hint to move back, so just used map. Hint button is your friend in this game. The storyline isn’t new and provided special abilities, don’t forget to use them. A few games are a little confusing but they are different and that is good. Occasionally inventory objects were puzzling but eventually there is a place for them. Just enjoy the lovely artwork and the journey before you. The ending completed the storyline…for now. I suspect there will be a continuation, but that will be something to look forward to enjoying. Closure took place so not left saying…what? Graphics: Beautifully crafted artwork. Visibility is excellent. Color is realistic. Sounds: Very nicely matched except for the “clunk” that hint makes. Sometimes that got tiresome but I use hint a lot. Music: Appropriate for tasks and events and didn’t turn it way down or off. Characters: Exquisite artwork with excellent voice overs. Hints: Uses a little open book for cursor. For the most part takes you where you need to go. A couple of times it wasn’t clear what to do when you reached the next location, but eventually it works out. 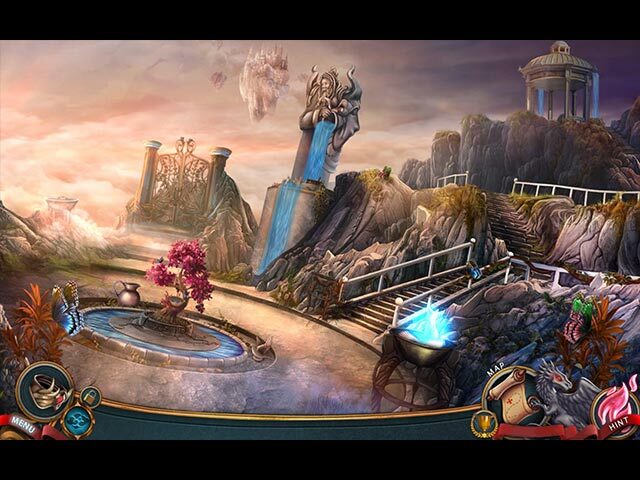 Hidden Object Games: Match items, some word lists, some surprises. Mini Games: Some involve too much turning, moving from one side to the other to complete while others are rather fun and enjoyable and a bit different. Not a mini fan. Map: Didn’t really need to use it much. Rated 5 out of 5 by lynnminer from LOVED THIS!! Okay, so I never do reviews but I just HAD to on this game. It is one of the best games I've ever played, and I've played a ton of games! The story line was great and kept me intrigued. I liked that there wasn't a lot of HOS. I'm not a fan of them, but these were good. The puzzles were great!! Many I haven't played before and there were some new twists on the ones I have played. I really recommend this game highly!! Rated 5 out of 5 by munshine from Absolutely beautiful... ...and SO cool! I really love the theme, characters, game play...everything ran smoothly, flawless (which doesn't seem to be very common these days) -thank you for that! Mad Head is my new, favorite developer! (Maze Subject 360 was also great! -completely different, creepy in fact, but very unique game play). Rated 5 out of 5 by LadyBluestocking from Beginner mode perfect for gaming "re-entry" I only discovered that I like HOG's a few years ago and hadn't played one in a while, so I was looking for a game I'd enjoy playing -- with just enough challenge to keep it interesting but not so much that I'd lose interest in trying to solve the puzzle. 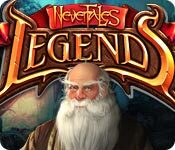 The Nevertales: Legends game was a great choice for that purpose. I didn't skip any mini-puzzles and only used the hints a handful of times, but I appreciated that they were there, as I hate getting stuck. 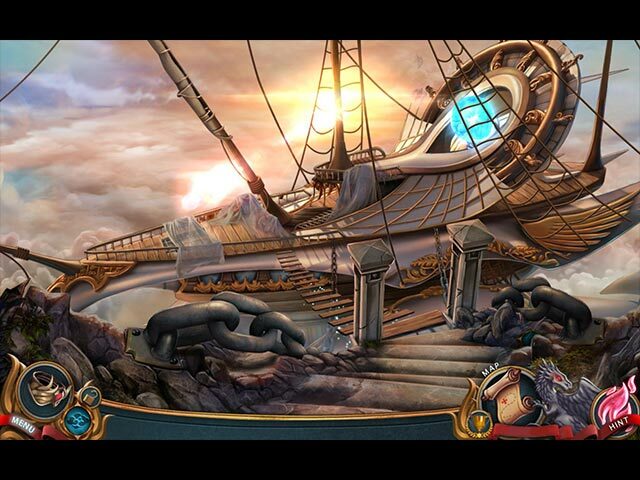 The only odd thing: there weren't very many hidden object scenes for a "Hidden Object Game"!! Rated 5 out of 5 by interestinggal from Excellent Game This one had almost nothing to do with the previous games in the Nevertales series, but it kept up with the same quality or even better. I enjoyed every minute playing the game. The story is complete in the main game and I wanted to play more. Kinda regret not buying the CE version. Rated 5 out of 5 by Maebird from Keep Your Enemies... close but your friends/family closer! The fire kingdom and the ice kingdom are at war. The fire king and the ice princess meet each other on the battle field and they instantly fall in love. The war is halted and peace reigns. The ice princess and Ashbringer the fire king, get married. The ice princess becomes Queen of the Fire Kingdom. Their love brings peace to the land. Now Ashbringer is suffering from a deadly illness. Crystals have taken over his body. Who could do such a dastardly deed? Who could be treacherous enough to try to kill the King? The Queen race against time to find a cure. She must stop and reverse the deadly crystals before they consume her beloved completely. This is a fun game. The scenery is exciting and beautiful. I loved the world of the Harbor Master. It's beautiful. I loved the undersea kingdom. It too was beautiful. The interactive puzzles are many and varied. And they weren’t too difficult for this intermediate player. My most challenging puzzle was the Ballista. This one tested me strategically and in way, mathematically. And the afterlife... just beautiful. It’s really a great game. Rated 5 out of 5 by denniann2 from brother vs. brother an excellent game. 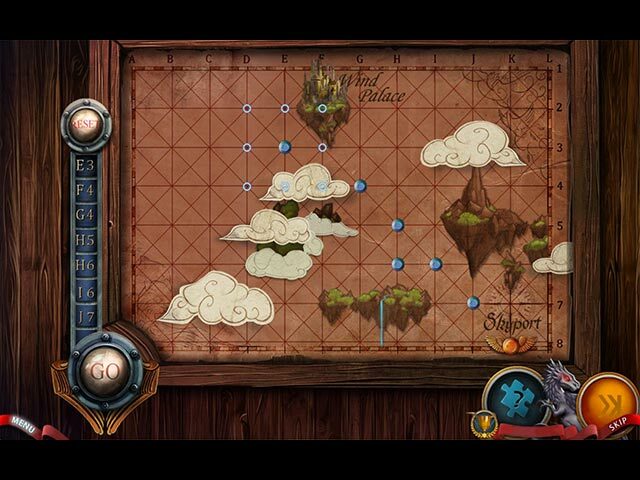 it has a custom level and an interactive map. it is a brother vs. brother game. one has developed a disease that turns people into crystals. the princess and the prince marry after he falls in love with her after seeing her in the midst of a battle between their respective countries. peace comes to the land after that, then the prince starts turning into some form of crystal and the princess starts looking for a cure. the prince knows what he needs but he is too far gone to help her. she takes his brother, hark, with her and sets out to find a cure. sequel.................most definately!!!! it has been awhile that i have enjoyed a game as much as this one!! !well worth the price!!! i played the standard edition. sometimes you can get stuck because you don't have what you need to continue. i had to cheat once and look at the walkthrough. Rated 5 out of 5 by Miribelle from It is incredible!! Good things: Sound and music are good. The storyline is wonderful and the graphics are stunning and very well done. It's beautiful!! Bad things: It is in English .... my English is not enough to get it right, but it is a excellent game.